The double-sided mirror is a beauty must have! 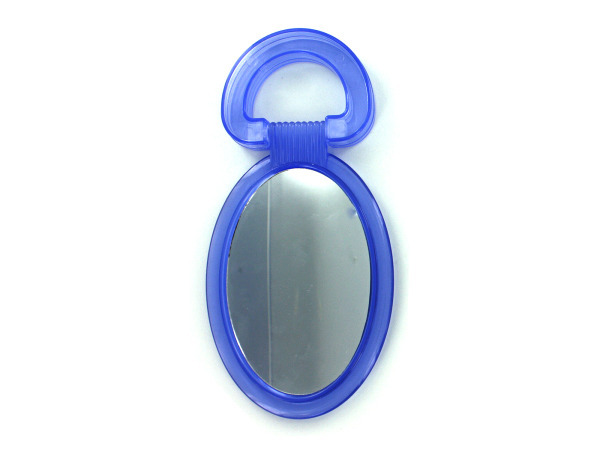 Mirror have the standard view on one side and a magnified view on the other for detailed application. Colors include blue, pink and transparent. There are 24 mirrors per display. Each mirror is 5 1/2" tall with stand included.